19-inch rack is the most famous standardized enclosure used for mounting multiple equipment modules. In a 19-inch rack there is a front panel 19 inches wide with ears that stick out on each side allowing modules to be fastened to the rack frame with screws. Rack-mount instrument, rack-mount, rack mountable, subrack, a rack mount chassis or just shelf these are some of the terms coined for the equipment which is planned to be placed in a rack. Electronic modules are also fixed at the height of “U” one rack unit which measures 1.75 inches. 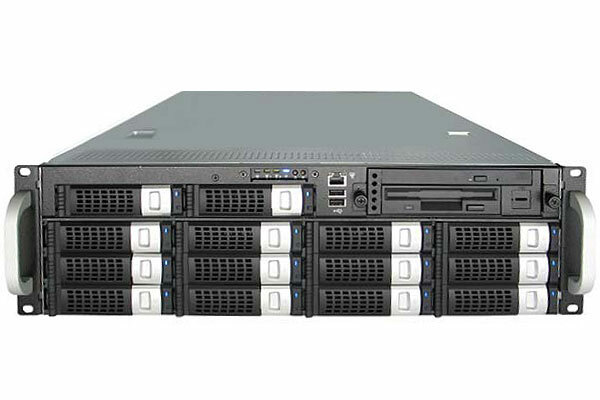 Most commonly used to house professional video and audio equipment, this type of rack is most preferred one by Data Centers services providers to place their servers. 19-inch racks allow dense hardware configurations devoid of excessive requiring shelving. One of the other uncommon used of 19-inch rack is industrial control, automation and power hardware. Fastening – mounting equipments starts from the process of fastening. In order to receive particular type of threaded bolt mounting holes are tapped. However this hole tapped kind of racks are only used for the hardware that really changes like relay racks and network or telephone cabling panels. Hardware which is frequently changed is mounted on racks which are provided with slide rails, since there is a possibility that the frequent movement can break of a bolt or damaging a thread making mounting hole unusable. Structural Support – mounting of the equipment is confirmed by clipping equipment’s front panel to the rack. One of the disadvantage of the process is that all the structural support is centered only to one side of the edge, so heavier equipment is designed to mounted on a second pair of mounting strips located at the back of the equipment. A variety of spacings are used between front and back strips, with 31.5 inches being the most common one. Equipment mounted is deigned to manage a range of depths and 39.4 is the most common used space because of the reason is more depth permit more space for to route cables at the back of the rack. Racks are commonly secured to the adjacent wall or floor so that it will not fall over. This process is done specially with 2 post racks. Slides – heavy equipment which is continuously used for servicing an in the process all the four corners are detached concurrently can cause a threat of damage. To avoid damage heavy equipment is either mounted via rails or mounted directly. A rail is mounted directly onto the rack equipment is then slides into the rack along with the rails which supports it. When the equipment reaches the place it is then bolted back to the rack. Rails also support the equipment in a position where it is clear of the rack and maintenance and inspection can be done easily.